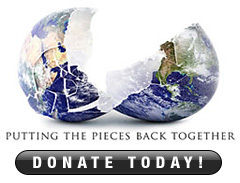 With a focus on creative solutions to abate humanitarian problems such as domestic and international hunger, supporting mine-actions and fostering dialogue between the United Nations and the US, the Humpty Dumpty Institute (HDI) launched several programmes across Sri Lanka, post tsunami in 2004. These unique programmes have touched the lives of men, women and children in areas of health and education and have given many families and communities the chance for a better existence. 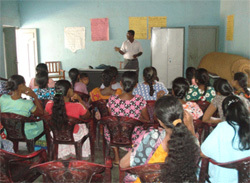 In 2009, the Humpty Dumpty Institute started a series of medical care and health education programmes to 10,000 women and children living in 14 remote villages in the Batticaloa and Jaffna Districts. With funding from the Red Cross Society of the Republic of China (Taiwan), these programmes were launched primarily because of the level of devastation that still existed in some parts of Sri Lanka a full five years after the deadly tsunami which struck this nation. Whilst nearly half of all the villages in the coastal areas of Batticaloa and Jaffna had not yet regained their pre-tsunami levels of access to education and health care and with little or no access to medical and public health facilities, the people who had to bear the brunt of these circumstances were those least able to fend for themselves. Children and mothers had been deprived of basic health care and their overall development and well being was suffering as a result. In addition to these difficulties, the last three decades of war had a disastrous effect on this population. Due to this situation, the Humpty Dumpty Institute implemented its signature holistic approach to development and convened 36 mobile medical clinics and built two permanent medical clinics with over 90 special health training sessions focused on pre- and post-natal medical care, vaccinations against serious diseases, medical care for ear, nose, throat and eye disorders, and psychological treatment for post-tsunami stress disorders. The Institute also prepared training sessions on basic hygiene and nutrition programs and structured non-formal education programs that addressed illiteracy among the children who had suffered during the post tsunami days. Additionally, water wells and water catchment systems were provided for communities who were undergoing immense hardships for the lack of clean potable water. Through the use of mobile medical clinics in and around the vicinity of Batticoloa, approximately 60 percent of the patients who were treated were cured of their illnesses, while 35 percent received continued treatment. Healthcare training resulted in hygienic improvement among 61 percent of the adults who attended sessions and 71 percent among children whilst the overall number of patients reporting common diseases dropped by over 40 percent. In Jaffna, HDI completed a badly-needed week-long Pre-School Teachers’ Training program, delivered educational material and supplied important playground sets many local pre-schools. “The work carried out and successfully completed has greatly impacted the lives of over 10,000 people in rural Sri Lanka. This is a reflection of our partnerships with the people and our donors who have untiringly provided unmatched assistance to the people who need help the most,” said Aminda Rodrigo, Country Director HDI Sri Lanka. Among the many projects handled by HDI, some of the more significant are: 4,694 individual visits to 46 Mobile Medical Clinics, and Ear, Nose, and Throat clinics over a period of 22 months, convened 67 monthly health training sessions (nutrition and hygiene) for 4,380 people in six villages, over 1,000 individual visits to 10 mental health clinics, taught 68 children to read and write in a non-formal school environment, attracted new international and Sri Lankan development assistance based on work in the same area, constructed two Permanent Health Centers servicing a population of 9,000 people in seven villages, constructed two wells and two water catchment systems benefitting 600 people from 87 families in two villages, constructed 16 school latrines benefitting nearly 800 students, provided playground equipment to nearly 1,000 pre-school students in 17 schools and delivered educational materials to 1,650 students in 33 pre-schools.